Provides a variety of services including skills training, orientation, and mobility, assistive devices and techniques for household organization in the home communities of Kansans who are age 55 or older and who experience blindness or visual impairments. The Visual Impairment Services Team (VIST) Coordinators are case managers who have responsibility for the coordination of services for severely disabled visually impaired Veterans and Active Duty Servicemembers. VIST coordinator duties include providing and/or arranging the provision of appropriate treatment in order to enhance functioning such as making referrals to Blind Rehabilitation Centers, Blind Rehabilitation Outpatient Services, VICTORS, VISOR, and low vision clinics. Other VIST coordinator duties include identifying newly identified individuals who have severely disabling visual impairment, providing counseling, problem resolution, arranging a review of benefits and needed services, and conducting educational and outreach programs relating to VIST and blindness. People who lose sight often have problems with different functions of daily life. They may rely on others to help with reading, travel, preparing meals, and many other tasks. Our vision and blind rehabilitation services help people regain their independence. This leads to a better quality of life for the Veterans we serve and their families. Empowers Kansans who are blind or visually impaired to achieve competitive, integrated employment. We'd love to hear from you. 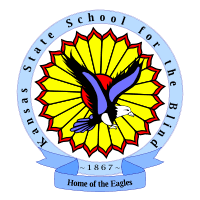 The Kansas Deaf-Blind Project is part of the Kansas State School for the Blind, and located on the campus. You may contact Marites Altuna regarding registering a learner with deaf-blindness, services, and resources. 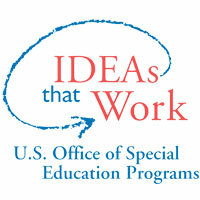 The contents of this website were developed under a grant from the U.S. Department of Education #H326T180051. However, those contents do not necessarily represent the policy of the U.S. Department of Education, and you should not assume endorsement by the Federal Government. Project Officer, Susan Weigert, Ph.D.